Hearts for Hearing was established in 2003 to provide funding for the initial set of hearing aids for Oklahoma children with hearing loss. In 2007, its mission was expanded to become a comprehensive hearing health program offering auditory-verbal therapy for children. 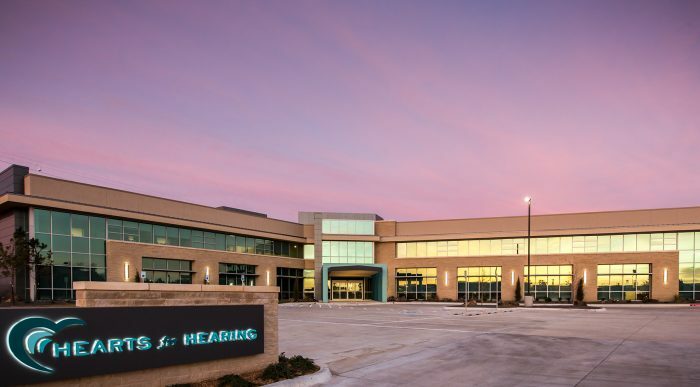 To meet the growing demand for adult hearing healthcare, Hearts of Hearing expanded again in 2012 to open a clinic specifically designed for adults. Today, they serve nearly 4,000 patients – including almost 3,000 children – statewide. 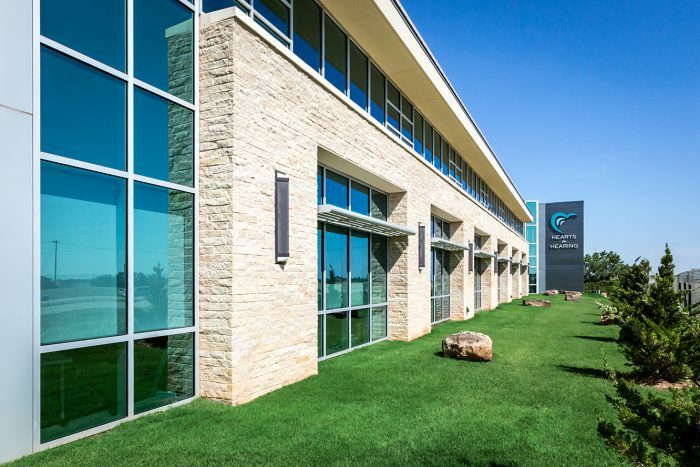 They provide auditory-verbal therapy for all ages with one of the largest teams of Listening and Spoken Language Specialists in the region, and are one of the area’s largest providers of cochlear implant services. 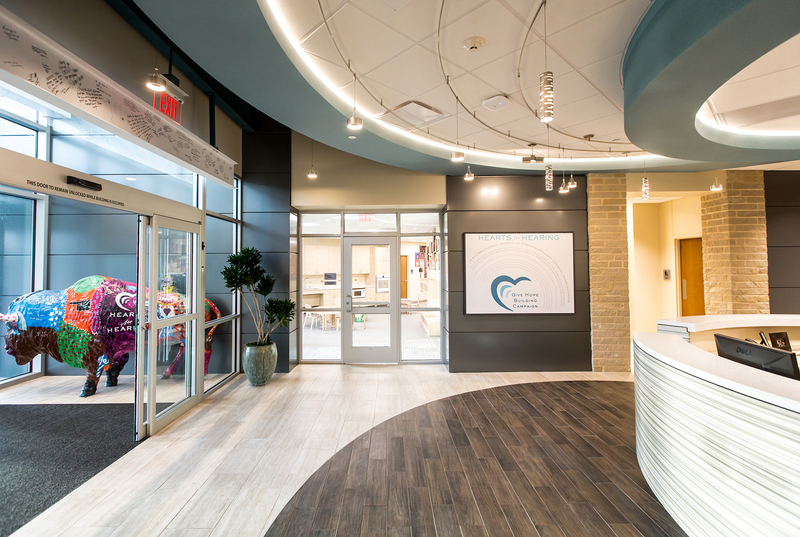 Wallace Engineering was part of the team engaged to design a new home for Hearts for Hearing after years of leasing space that didn’t accommodate their needs. 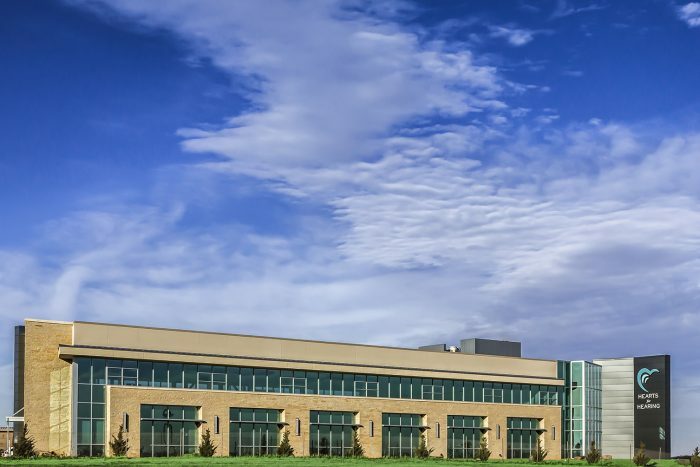 The new two-story, 40,000 square foot corporate office building includes office space for speech pathologists and audiologists, nine sound booths, 10 administrative offices, and a soundproof testing room for research. Part of the second floor is currently vacant lease space that can either be leased to tenants or used for future growth.